Curbside Splendor Publishing, 9780988480438, 293pp. 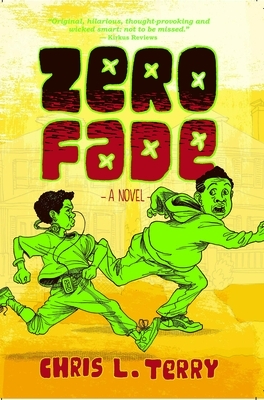 Zero Fade chronicles eight days in the life of inner-city Richmond, Virginia, teen Kevin Phifer as he deals with wack haircuts, bullies, last year's fly gear, his uncle Paul coming out as gay, and being grounded. Chris L. Terry lives in Chicago where he teaches writing and theatre to juvenile inmates. Growing up in Richmond, VA, he spent his teens and early twenties touring the world in a punk band. He has a Fiction Writing MFA from Columbia College Chicago. Zero Fade is his first novel. Excerpts have appeared in Chicago Reader, Curbside Splendor, Hair Trigger, and Trilling Magazine. His website is ChrisLTerry.com.